A delightful illustrated picture book for readers ages 3 and up, God Gave Us Easter features the adorable polar bear Little Cub, talking with her father and learning about God's design for the Easter season and what it really means. "God loved us so much he wanted us to always be with him too. That's why God knew he'd need to give us Easter." As Little Cub celebrates Easter with Papa, Mama, and her brother and sister, she begins to ask her papa questions about this very special day of the year. Papa lovingly explains God's plans for his children, while taking Little Cub on a memorable walk through her stunning Arctic world, and he shares how Easter came about in clear, simple terms that even the littlest cubs can understand. Lisa T. Bergren is the author of nearly forty titles, including God Gave Us You, the bestselling beginning of the beloved God Gave Us... series. Her works span many genres, from adult fiction to devotionals. She makes her home in Colorado with her husband, Tim, and their children, Olivia, Emma, and Jack. 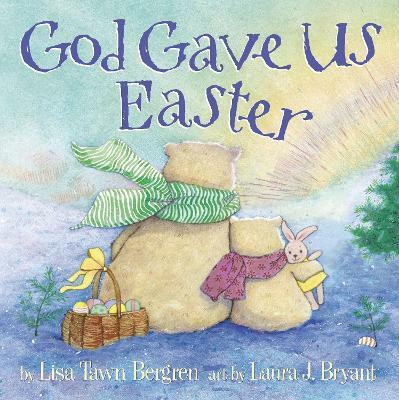 Laura J. Bryant has illustrated numerous award-winning children's books, including God Gave Us You, Smudge Bunny, and If You Were My Baby. She studied painting, printmaking, and sculpture at the Maryland Institute College of Art in Baltimore and lives in Asheville, North Carolina.